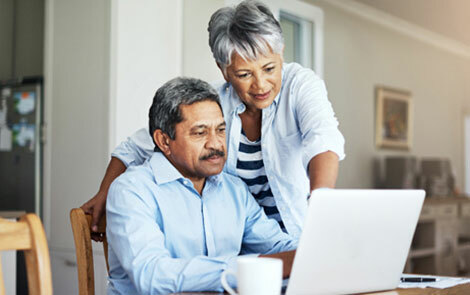 If you are changing jobs, you will be faced with decisions regarding your retirement plan assets-whether to remain in the existing plan, receive partial or full distributions, rollover into your new employer's plan, or establish a rollover IRA. There may be significant tax consequences depending on the choices you make. Let an IBC Investment Services representative explain to you the various options and help you select the optimum solution that meets your specific requirements. Learn more about strategies to attain your financial goals, such as Retirement Solutions, IRAs (Rollovers), Retiring (Rollovers and Immediate Annuities), College Savings, 529 Plans, Financial Guidance, and Estate Tax Planning. Before making any decisions in regards to choosing a retirement account or plan, please consult with your financial advisor. Consider your personal financial situation, time horizon, and investment objective before purchasing a retirement plan. Before making any decisions in regards to tax deferral strategies, consult with a qualified tax professional for guidance.